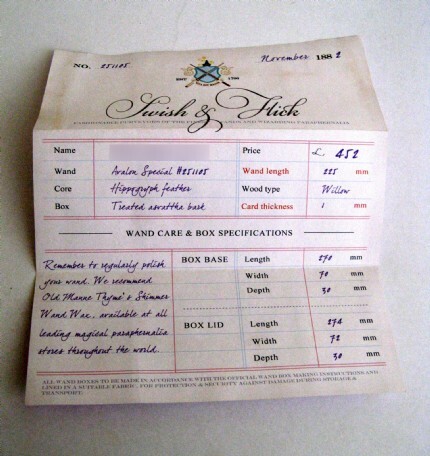 I personalized the box specification form in a desktop publishing program, filling in the blanks before printing and adding a few details, such as 'wand care'. I included it inside the wand box like it was a receipt. Although a single mum, I'm relieved that my daughter (now 5) has the benefit of her father and I still being very good friends. Reading, writing, crafts and figuring out what insane thing my daughter is going to attempt next.